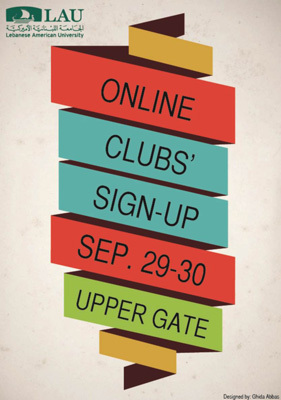 The online application for clubs will be accessible from Monday September 29 at 8 a.m. to Tuesday September 30 at midnight. To sign up, simply click here, log in and select the organization that interests you. Note that this can only be done on campus and that the link will be available only on the registration days.